Finding the perfect pillow can be quite a chore. If it isn’t too hard on your neck, it doesn’t provide enough support for your head. 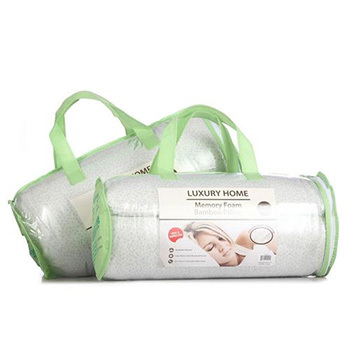 Instead of settling for sleepless nights, take control of them with this sturdy Ultimate Memory Foam Pillow. Featuring a Stay-Cool bamboo cover that keeps you refreshed during the hottest of nights, it’s firm enough to keep your head from sinking in, yet soft enough to provide total comfort for a restful sleep. Use this pillow in bed or during a red-eye flight and you’ll be bright-eyed, bushy-tailed, and ready to go the next morning.